Camels were among the earliest Steiff animals - in fact, the first trademark for Steiff felt animals even features a camel ... 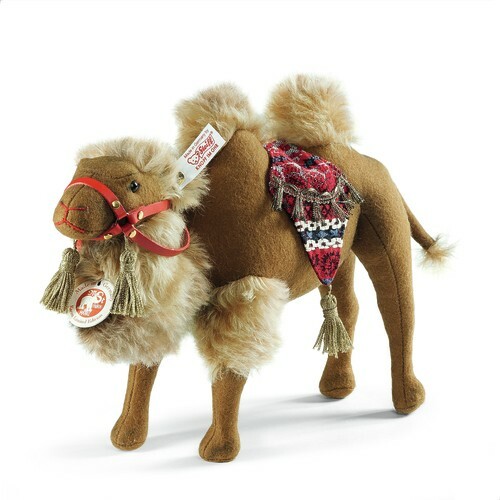 Which means that Karim camel is part of a rich tradition at Steiff. The first in his line appeared in 1898 - a less elaborate version on wheels. His great-grandson Karim, who is 25 cm tall and made of finest brown wool felt, prefers to stand on his own four hooves. He also loves his lavishly decorated saddlecloth - patterned with gold trimming and gold-coloured tassels. His head is adorned with a red leather halter and a gold-coloured tassel on either side. His gold-plated "Button in Ear" and the rich, gently curling fur single him out as a descendent of a very special family. 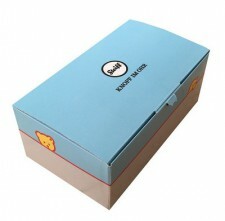 Karim camel comes in a limited edition of 1,500.